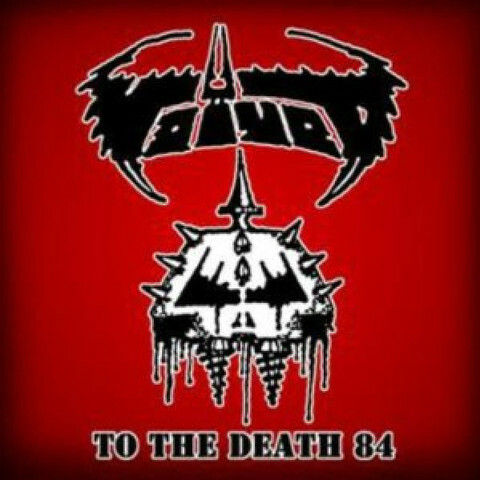 VOIVOD formed in 1983, with a weird hybrid of thrash metal and punk; a sound that made them stand out as a unique band from the beginning. Still together after almost 30 years, having made more than a dozen albums and toured the world, Voivod reach back to the beginning of their career to their 1984 demos for their first Alternative Tentacles release. Voivod began as four friends who had met in high school and decided to get together to play some heavy music. Growing up in Northern Quebec in an aluminum factory area called Saguenay, which they named Morgoth Land, they shared a liking of Venom, Motörhead, Tank, Discharge and GBH; as well as obscure prog and krautrock bands like Van Der Graaf Generator, Faust and Can. They were scared of the threat of a nuclear war and Reagan-era concepts such as the Strategic Defense Initiative, and overall had a dystopian view of the future. To The Death 84 is a double album/single CD, 70 minutes of loud, blistering metal/punk. Recorded live in the band&apos;s jam space in January 1984 with an old tape recorder and a couple of microphones, it nonetheless sounds great and still hits hard today. This demo tape was sent to all the fanzines the band knew of at the time, and has circulated among collectors for years. The lineup for these recordings was Snake (Denis Bélanger) on lead vocals, Piggy (Denis D&apos;Amour) on guitar, Blacky (Jean-Yves Thériault) on bass, and Away (Michel Langevin) on drums. The track listing includes songs from War and Pain, their debut album, and 6 others, including a Mercyful Fate cover and two Venom covers. 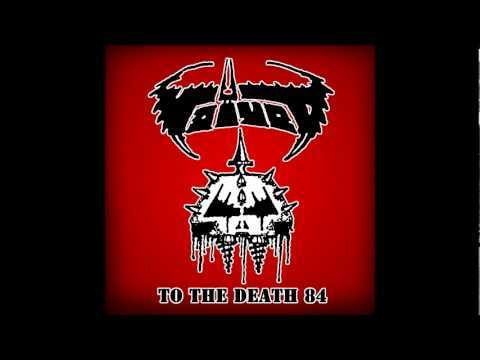 This demo did its job: soon the underground world was aware of this strange vampire warlord from the cold, Voivod.